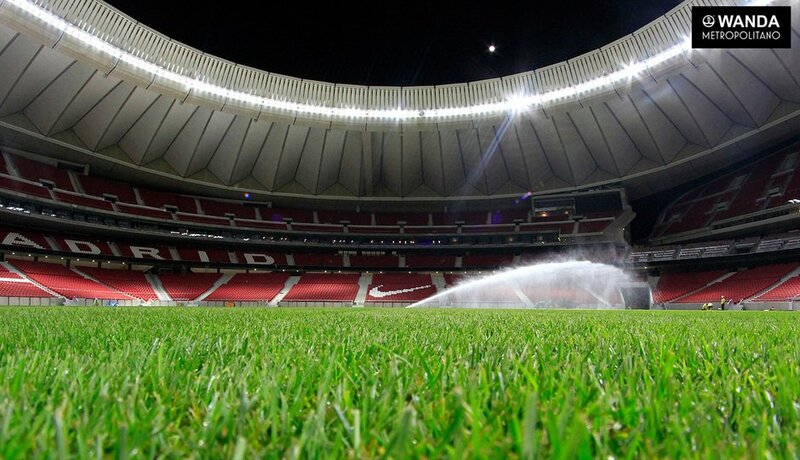 The story of Atletico's new stadium began a long, long time ago, back in 1988. 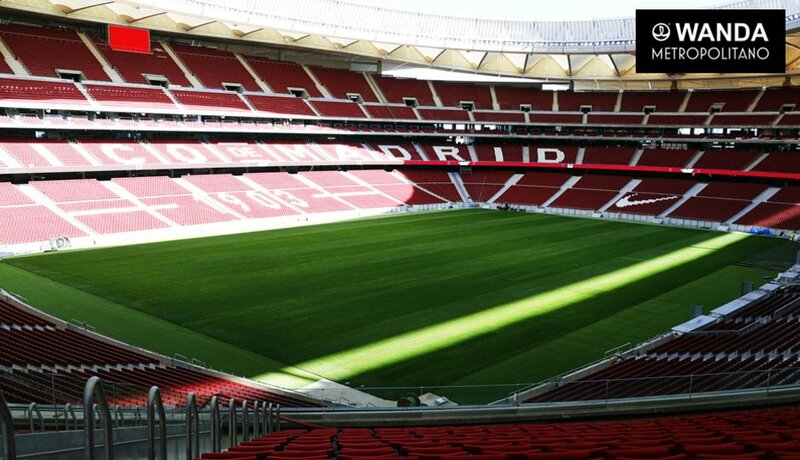 Back then the competition for design of Madrid's largest athletic stadium was carried out. 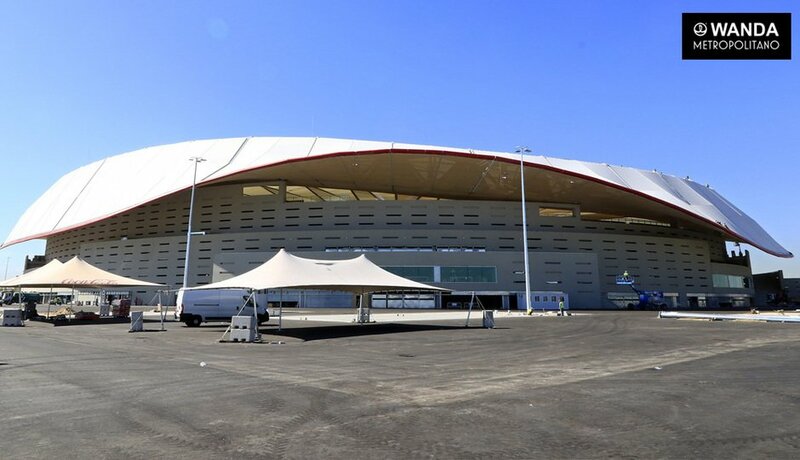 By late 1993 the 20,000-capacity venue was ready and it offered two distinctive features. First, all of the capacity was cummulated within the west side, spread across two tiers. 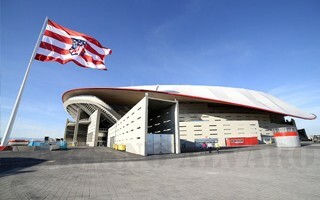 Second, the comb-alike concrete facade earned it the nickname La Peineta, which was in use for many years. Indeed, the rought concrete walls with rhythmic openings stood out. 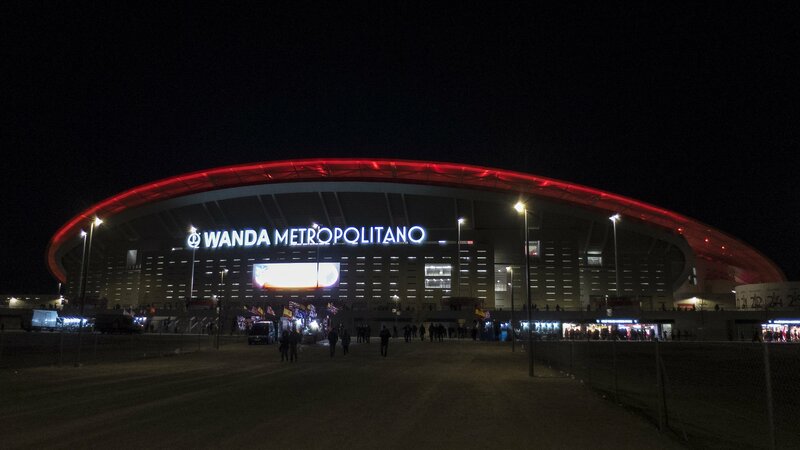 While impressive and built with high hopes, the stadium proved to have little use. 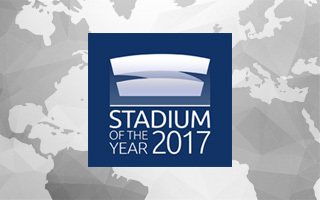 Hosting events only incidentally, it saw its first major international athletic meeting in 2002, after 8 years in operation. 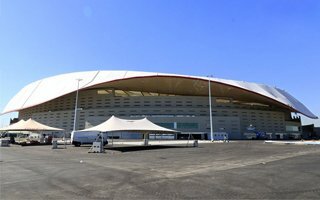 Days of glory were expected to come later, with Madrid consequently bidding to host the Olympics in 2012, 2016 and 2020 only to see all three bids fall through. 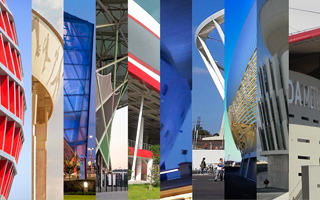 After the painful failures only one key element of the Olympic dream remained: making the stadium into a truly iconic structure. 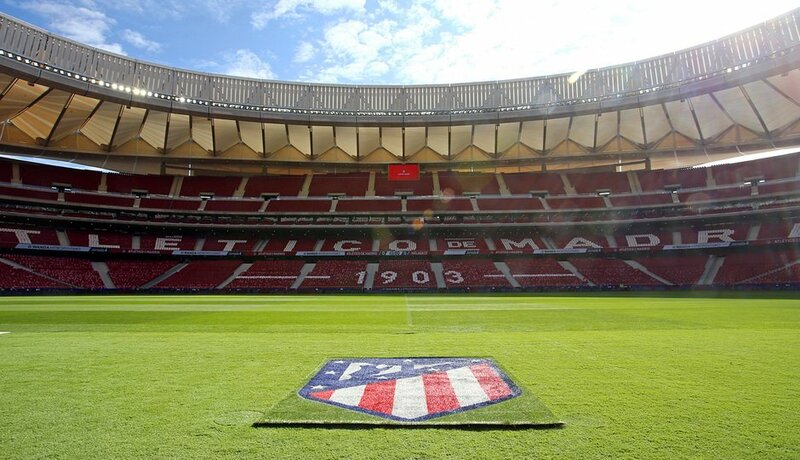 Back when the 2nd Olympic bid was still in play, the city of Madrid and Atletico agreed that the city would relocate here and, should the Olympics be granted, allow for temporary conversion to Olympic mode. 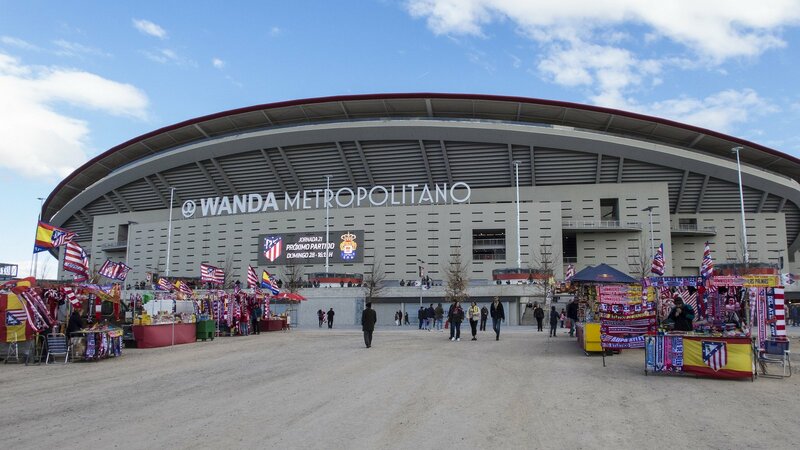 For Atleti the stadium was a lucrative move with its main stand ready, convenient access and good public transport beside the eastern ring-road. 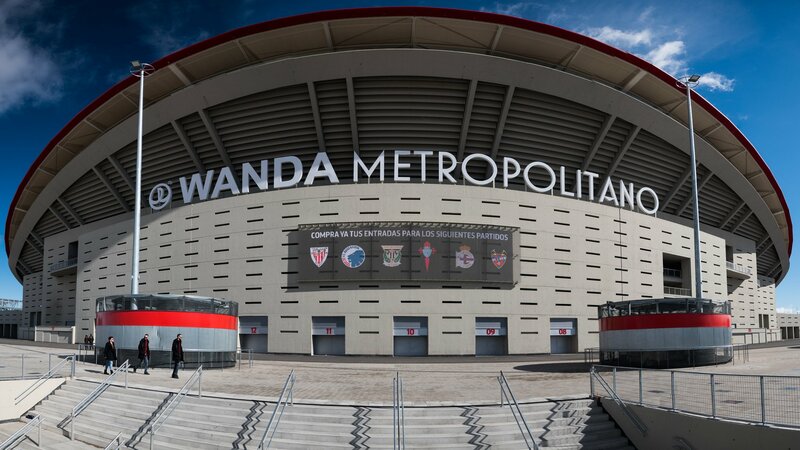 Design work was carried out, as it had been from the start in 1988, by Cruz y Ortiz. 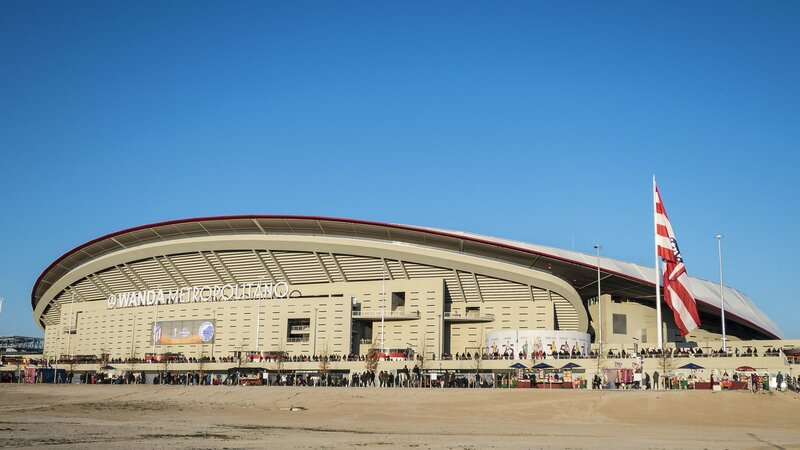 To reconfigure a track and field stadium into football-only layout they dug the field further into the ground, resulting in it being sunken 15 meters below ground level. 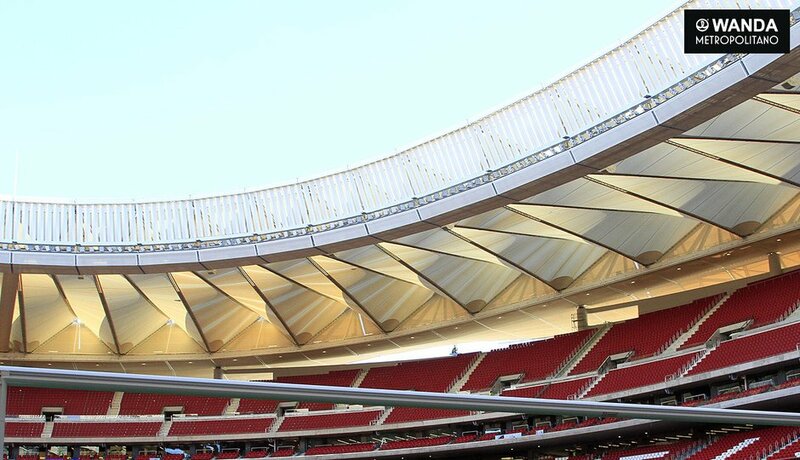 The semi-rectangular lowermost tier is visibly flat but what the architects achieved was better distance between the first row and players than at Vicente Calderón. 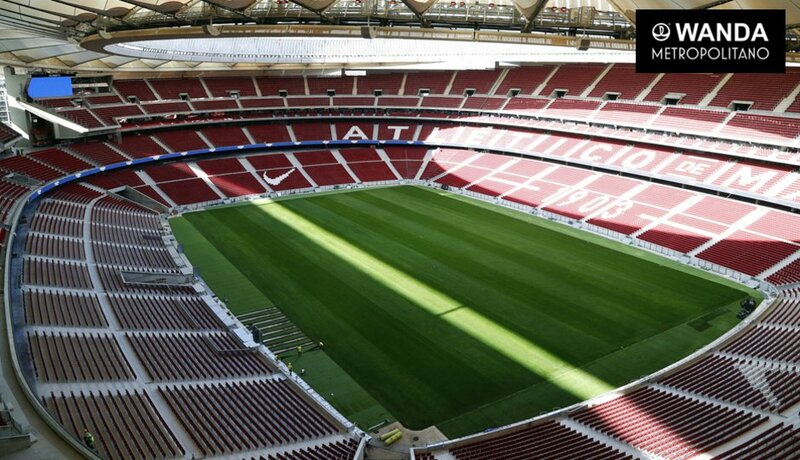 The field is just 6-9 meters away, even if the distance grows significantly with every row and is quite long for fans in the upper ring. 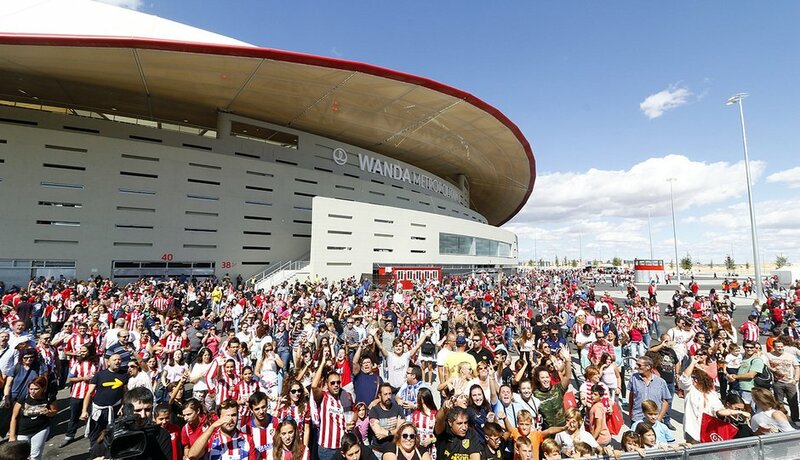 Along the initial financial framework the stadium was to be financed by the provate developer in exchange for land under Vicente Calderón and nearby Mahou brewery. 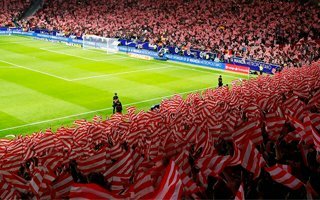 However, the economic crash and collapse of Spanish real estate market caused significant changes in the scheme, forcing Atletico to put forward vast amounts of money, to begin with €60.3 million for the land itself. 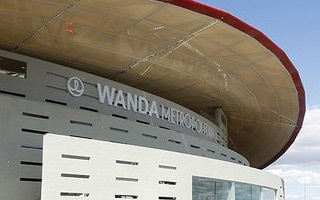 The financial turmoil was among reasons for the stadium to be delivered late, seeing groundbreaking in late 2011 and handover in late summer of 2017. 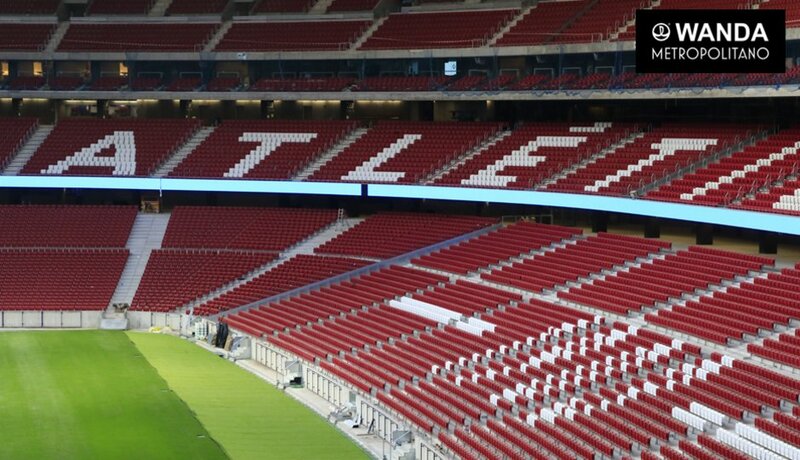 Due to the vast space taken by previously-athletic stadium and efforts to put fans as close as possible, the auditorium is very spacious. This caused the roof to cover 96% (instead of preferred 100%) of fans. At the same time such layout offered immense amount of floor space beneath ground level, used to hold 1,035 parking spaces on two levels. Outside the stadium further 3,000 cars can find their spot on matchdays. 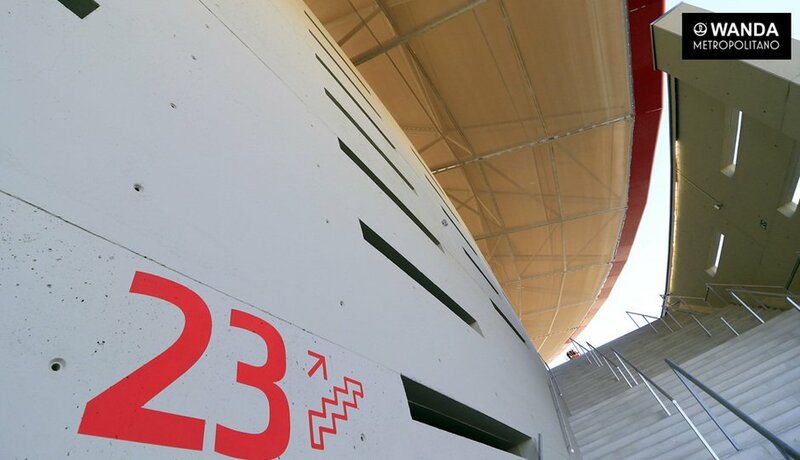 With two floor used for parking, the stadium still offers up to 5 levels for other uses, creating great infrastructure for one of Spain's most extensive corporate hospitality offers. 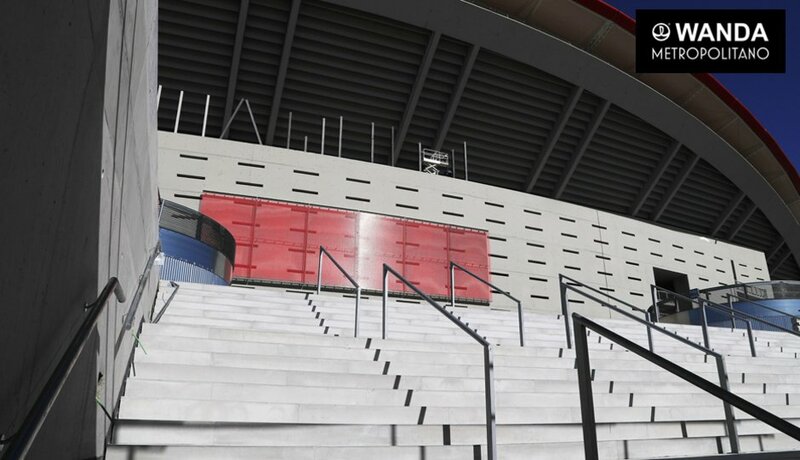 Within the newly-built grandstands there's a long strip of 94 skyboxes, while further premium seats were installed within the main stand. 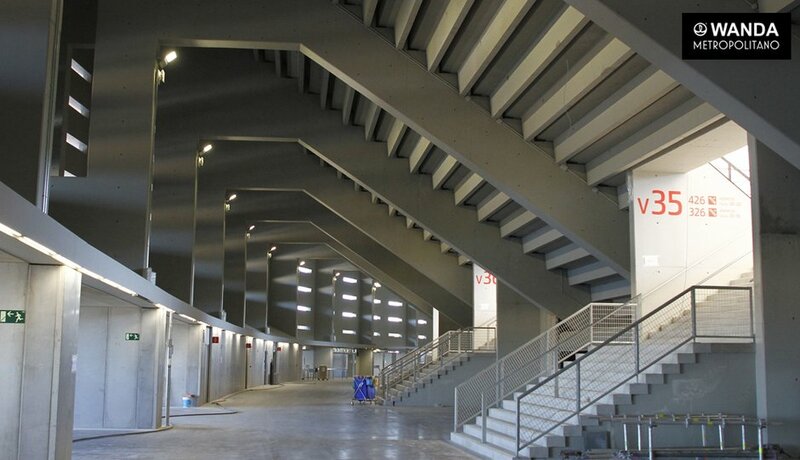 The entire stadium is topped by a masterpiece of engineering and key architectural feature: the crown. We could call it a roof but that seems a bit modest. 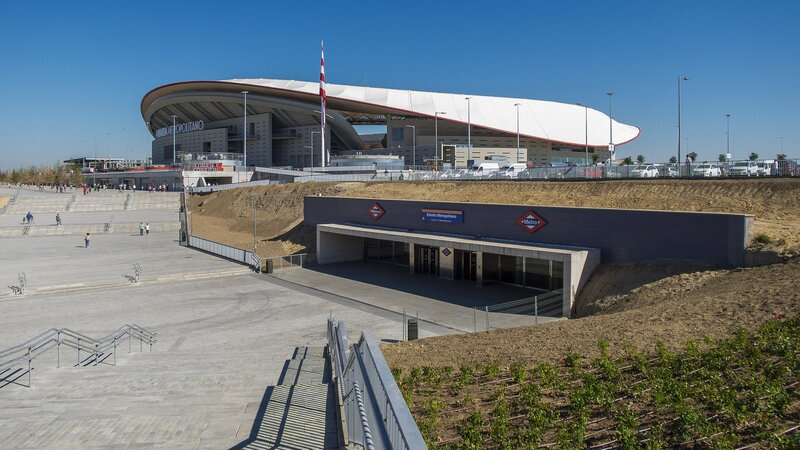 On the one hand this gently undulating cover softens Metropolitano's otherwise concrete form, keeping its height relatively low (between 32 and 42 meters) in order not to disrupt the landscape. 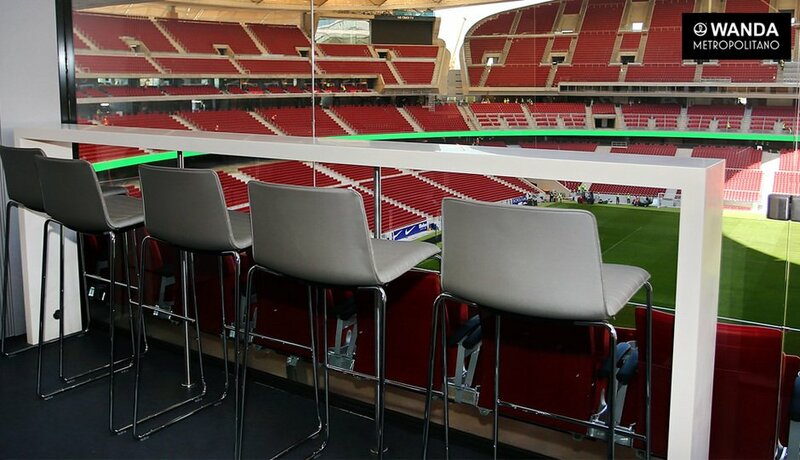 On the other, the design provides a stunning impression inside, where 96 PTFE segments resemble origami artwork. 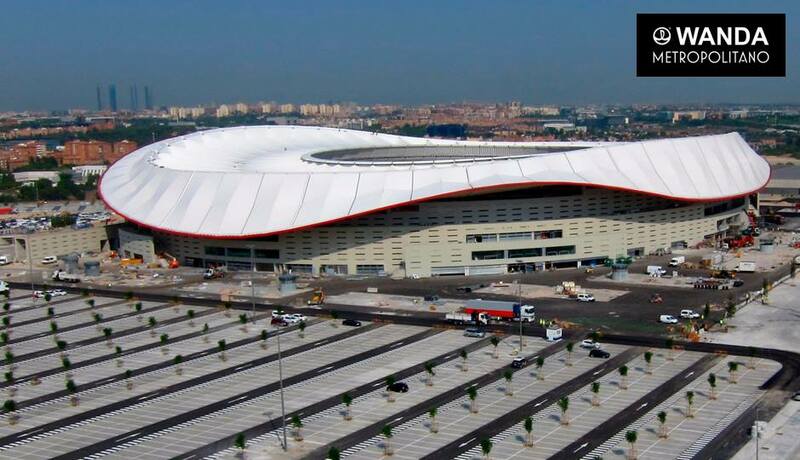 Though its overall surface is just 46,500 m2, the roof actually uses 83,000 m2 of PTFE due to the way its formed. 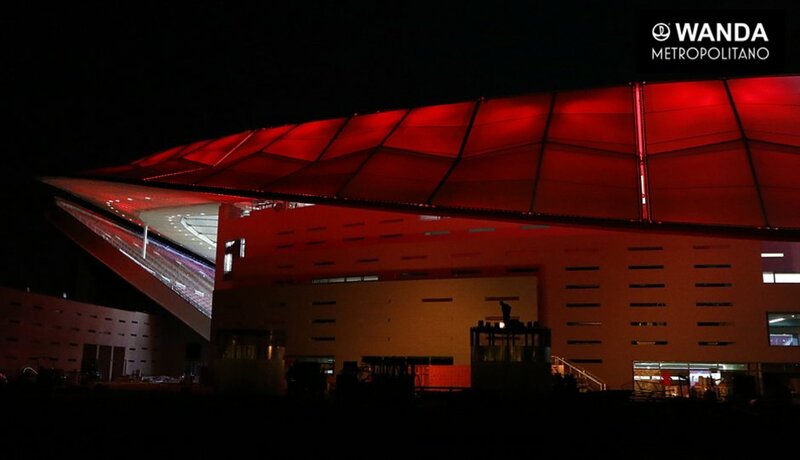 It seems very fitting that the roof has vibrant nighttime illumination, allowing it to come alive on matchdays.